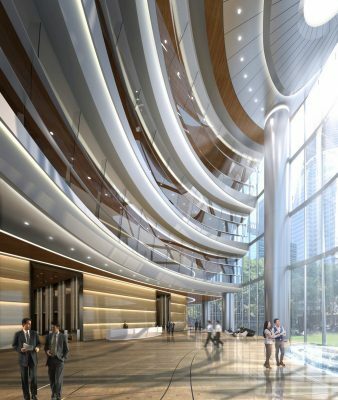 To accommodate its growing business across China, insurance behemoth Sunshine keeps returning to Woods Bagot. 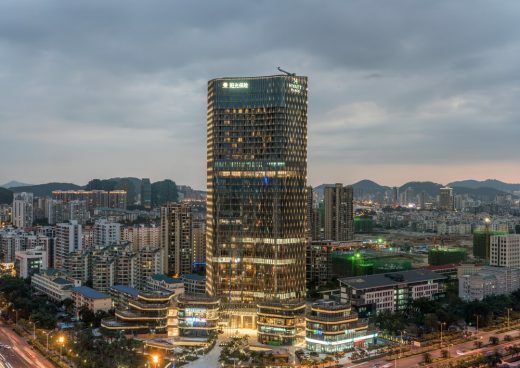 The two global firms have teamed to create three new towers: the firm’s headquarters in Sanya Bay was completed in March 2018, while towers in Beijing and Shenzhen are currently under construction. Sunshine Insurance Finance Plaza provides a soaring new addition to Sanya Bay’s rising skyline. 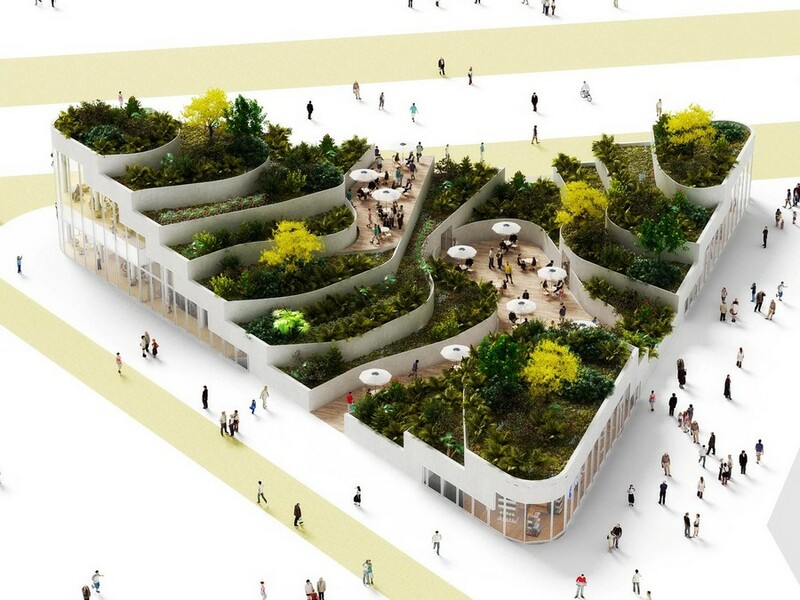 A finalist for a World Architecture Festival (WAF) award, the project is inspired by a string of pearls, with lush gardens dotted with low pavilions, cooling fountains, and native plantings to modulate the semi-tropical climate. 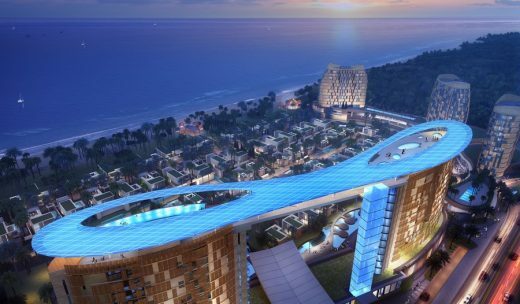 Located at the southern tip of Hainan Island, the mixed-use development features a 35-storey tower with A-grade offices, a 4-star Park Hyatt Hotel, a private clubhouse and a rooftop pool. 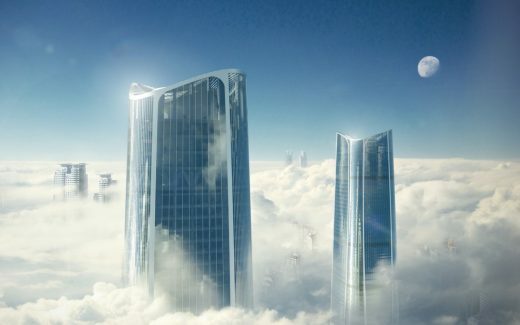 A podium comprised of four orb-shaped edifices of the podium connects to outdoor common spaces and offer roof decks and high-end retail spaces. 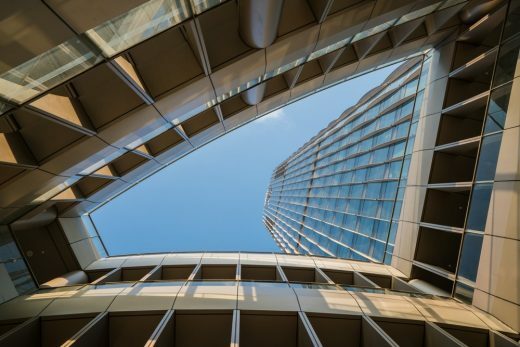 Sunshine Insurance Finance Plaza brings nature into the city, connecting work and play in a green and sheltered setting. 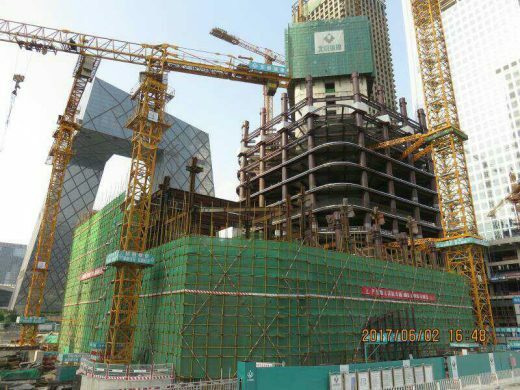 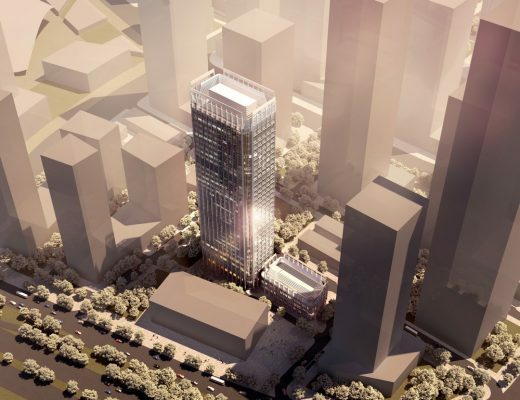 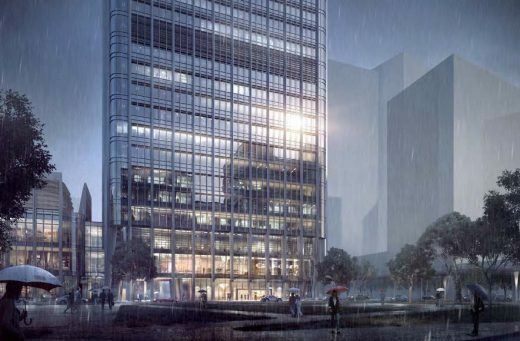 Currently under construction in downtown Beijing is a minimalist, 1.3M sq ft tower. 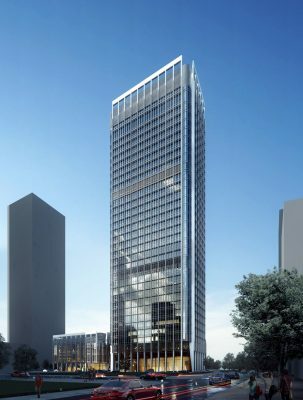 Meeting the ground as a square, the building twists and tapers as it rises, the square base morphing into an ellipse. 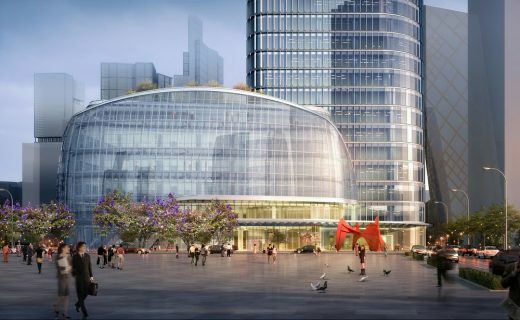 Inserted into the top of the building is an occupiable sphere, which references the hemisphere of classical Chinese architecture and will serve as a glowing landmark. 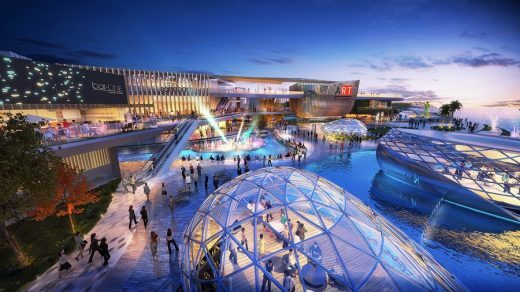 A six-story podium, inspired by the shape of a lotus flower, will offer retail, cafes and restaurants and entertainment facilities. The rectilinear footprint is flexible enough to suit a cross-section of tenants who will rent the lower floors, while the curved walls at the top will meet Sunshine’s needs as the single occupant. Sky garden atriums will be clearly visible from the surrounding city, broadcasting the Sunshine brand. 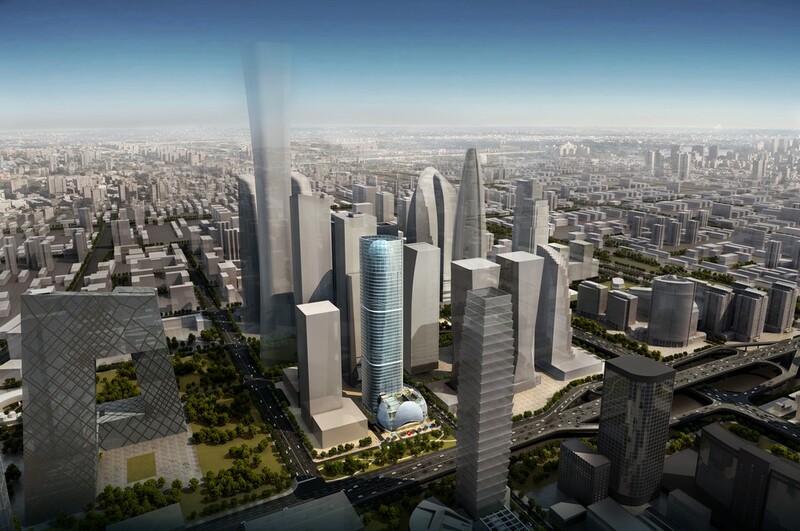 Due to complete in 2020, Sunshine Beijing has been highly commended by the Asia Pacific Property Awards and is set to become an architectural landmark on Beijing’s continuously evolving skyline. 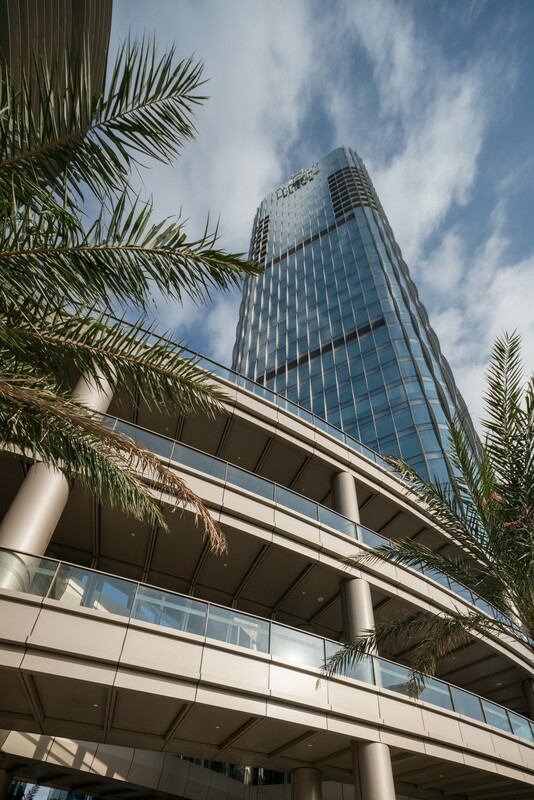 Situated along the western coast of Shenzhen Bay, the Sunshine Tower occupies a prime position within the city’s master plan: a system of green corridors, elevated walkways, and loggias. With its strong vertical lines, and pedestrian loggia recalling the classical spaces of the Biblioteca Nazionale Marciana in Venice, the tower’s elegant simplicity communicates the timeless quality and stability of the Sunshine Insurance brand. 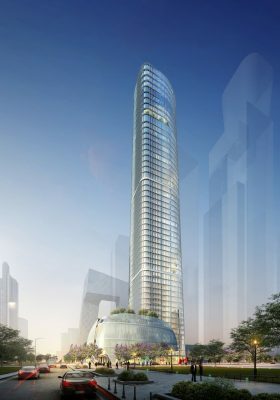 The 660,000 sq ft tower is due to complete in 2020.